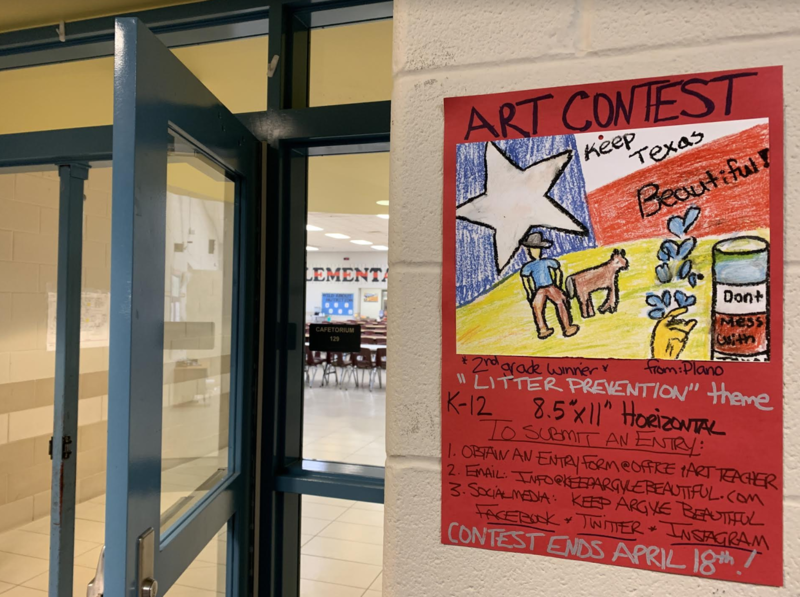 WILL YOUR STUDENT BE ATTENDING ARGYLE WEST ELEMENTARY IN THE FALL? 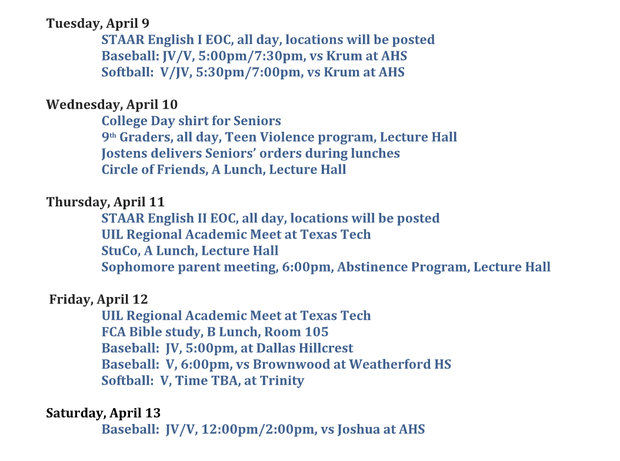 PLEASE TAKE TIME TO GO ONLINE TO REGISTER YOUR STUDENT! 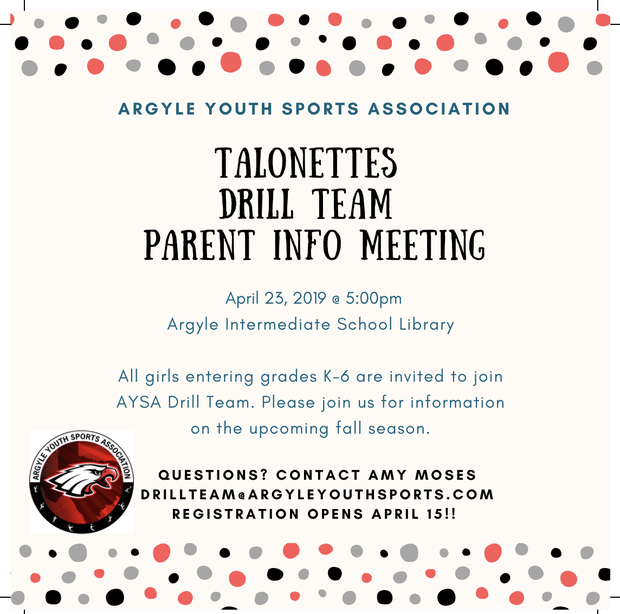 If your student will be attending Argyle West Elementary School in the fall, you need to make sure you have registered them online. 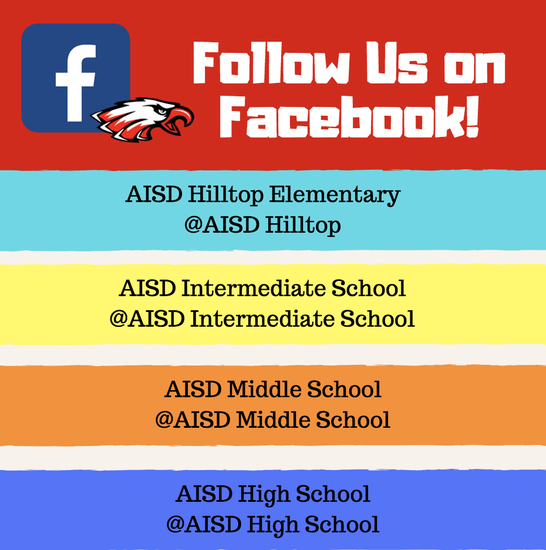 If your student has been attending Hilltop or AIS this school year and they will attend Argyle West in the fall, you will register them online as a returning student. 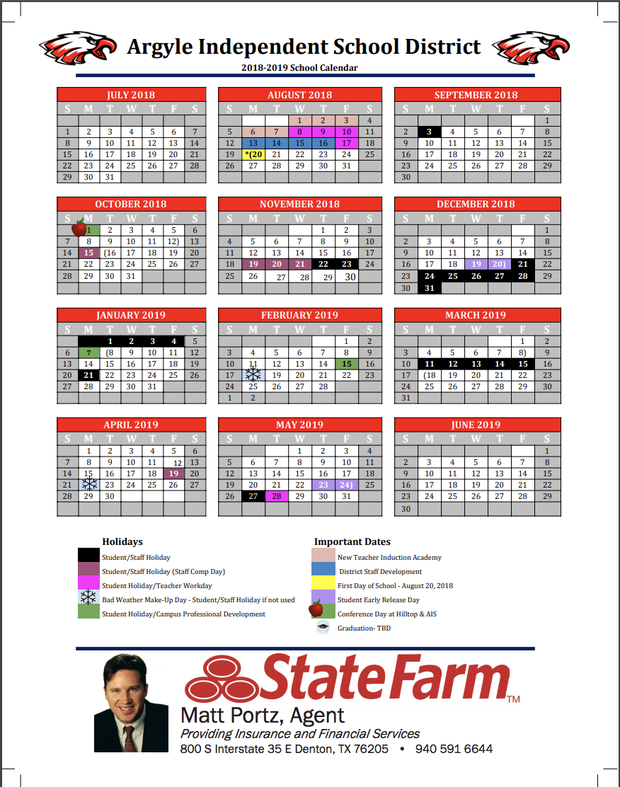 Only students who are brand new to the district in the fall of 2019 will need to complete the new student registration. 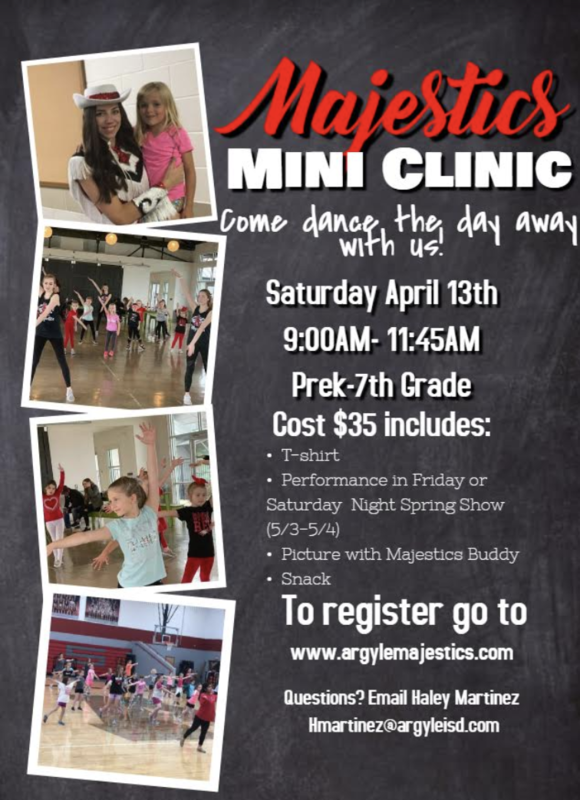 Please click on the link below to register your student! 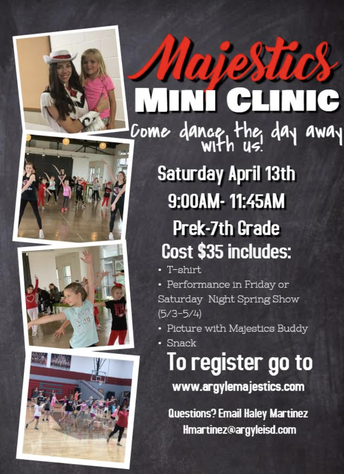 HAVE YOU REGISTERED FOR THE MAJESTICS MINI CLINIC? 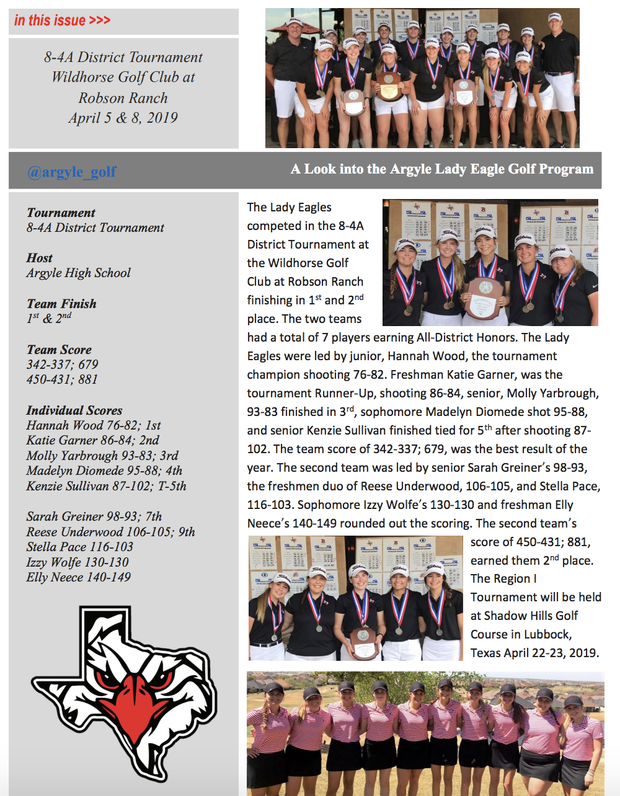 INTRODUCING - THE ARGYLE ISD JUNIOR REPORTERS! 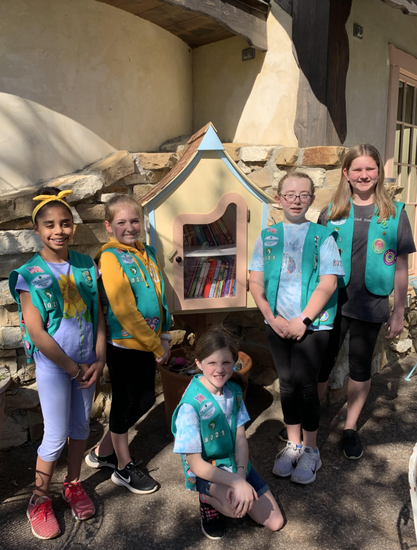 A group of 5th grader Girl Scouts at AIS in troop (8021) completed there Bronze Award project by building what is called a "Little Free Library". The Girl Scouts wanted to give back to the community so they set up the free library at Kimzey's Coffee Shop. The library is registered and it also has a Geocache located inside. Thank You to the Girl Scouts for doing so much for our community! 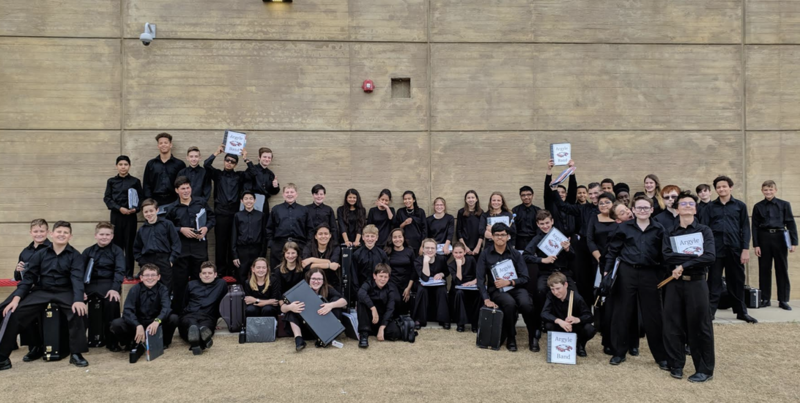 Congratulations go out to all the AMS Symphonic Band and Honor Winds students for earning sweepstakes at the UIL Concert and Sight Reading Evaluation last week. They received a first division rating from all six judges! 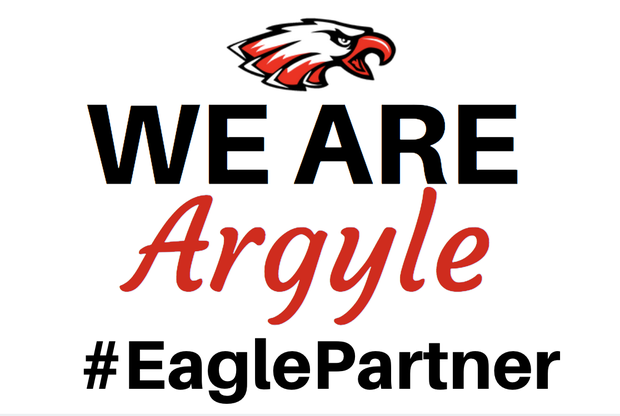 Last week, all Argyle ISD Bands competed in the Region 2 UIL Concert and Sight-Reading Contest. The students represented Argyle ISD very well. 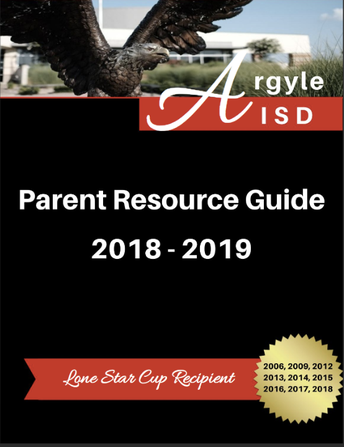 All of the Argyle ensembles received straight ones (Sweepstakes) at the contest. Only seven ensembles received straight ones and Argyle had four of them. We are unbelievably proud of these students. When you get the opportunity, please congratulate all of the band students. Last Friday, the AHS Boys Soccer team defeated Kennedale to book their spot in the Regional Tournament. They will play San Elizario this Friday at Northwest ISD Stadium at 5:30 PM. The winner of Friday's game will play again on Saturday at Northwest ISD Stadium at 12:30 PM. Congratulations to Coach Parks and the team! 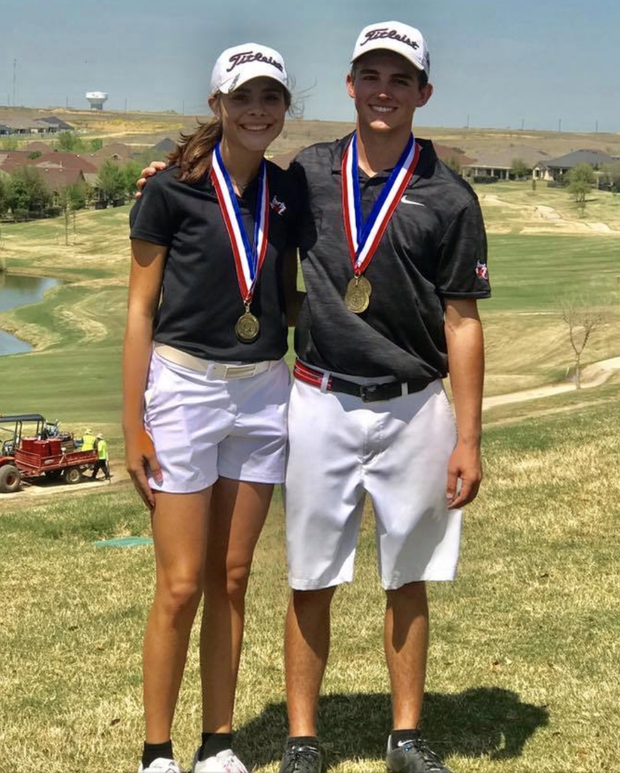 Argyle High School's three golf teams will advance to the 4A Region I Tournament at Shadow Hills in Lubbock, April 22-25. 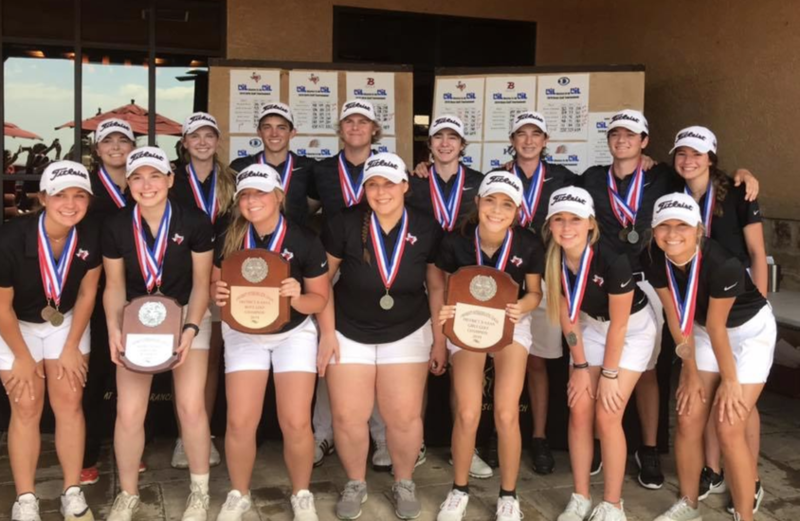 Congratulations to all of the golfers and coaches! 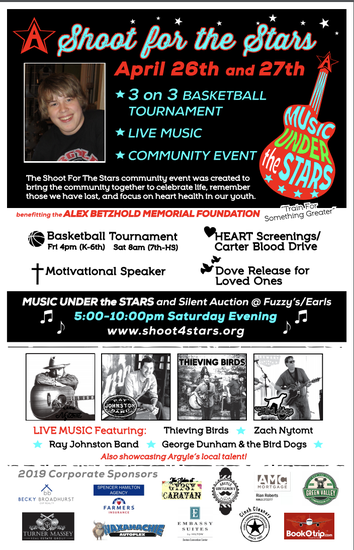 The annual Shoot for the Stars Community Event is coming up. 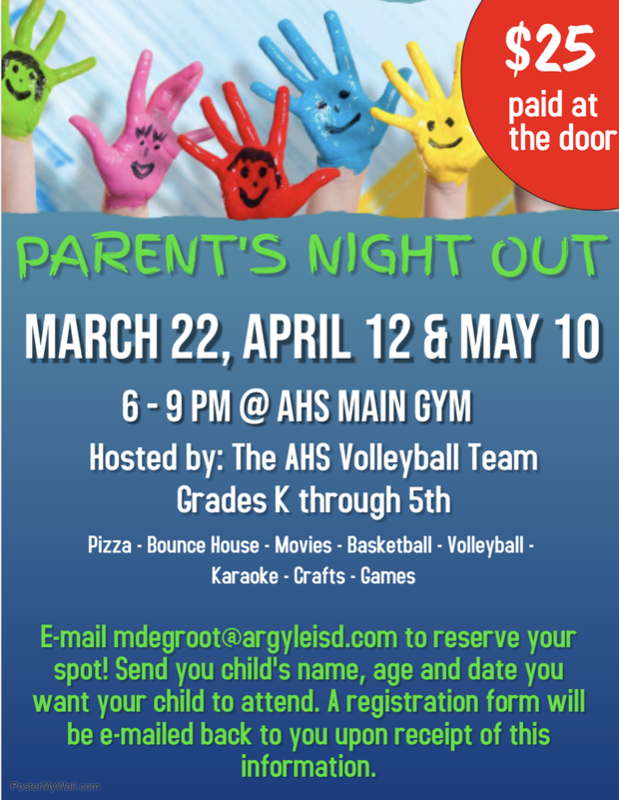 The 3 on 3 youth basketball tournament will be held on Friday, April 26th at AHS starting at 4 pm. 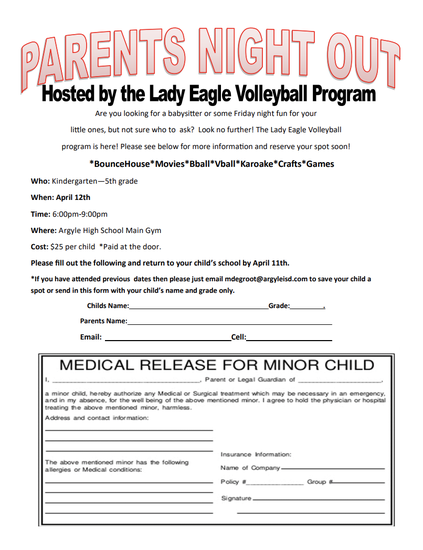 The Adult (7th grade - adult) tournament will be held on Saturday, April 27th at AHS. 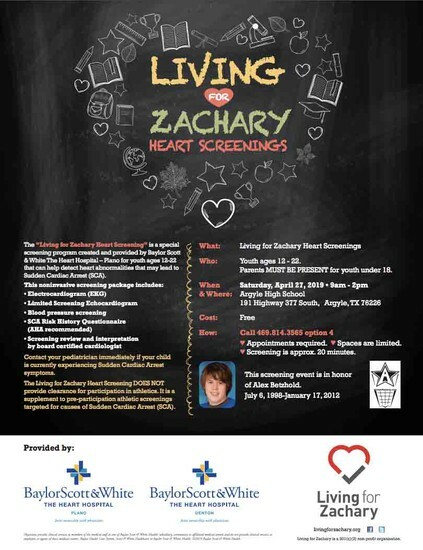 The FREE heart screenings for ages (12 - 22) will be held on Saturday, April 27th. 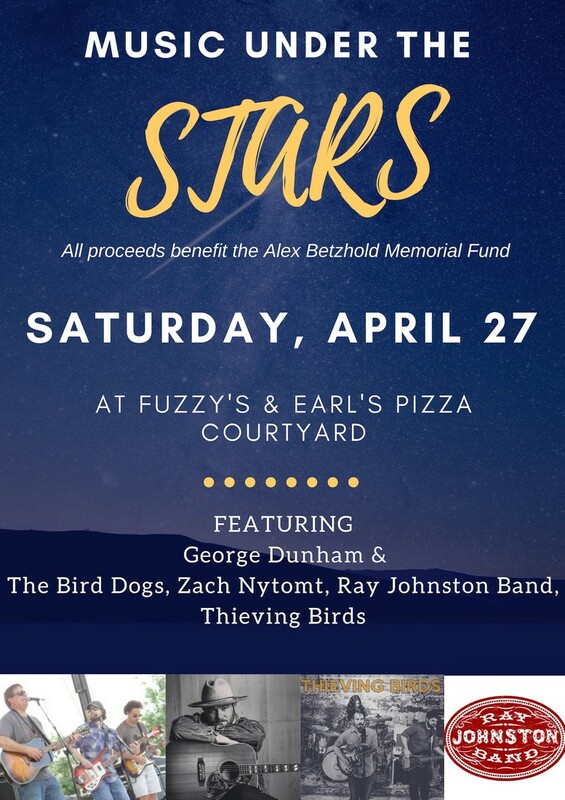 The Music Under the Stars Event will be held on Saturday, April 27th at Earls 377 and Fuzzy's. 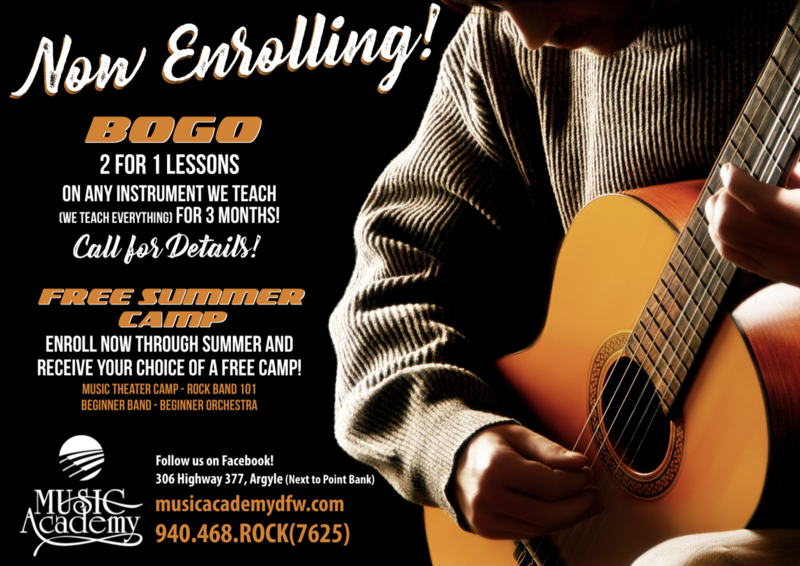 There will be a student performance stage sponsored by The DFW Music Academy at Bumbershoot BBQ from 4:30 - 5:30 pm. 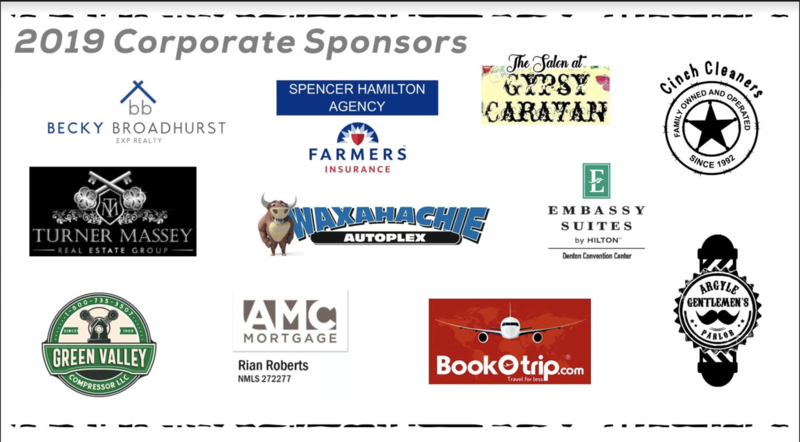 Then the main stage performances will start at 5:30 pm and will take place between Earls 377 and Fuzzy's. There are some great bands lined up. 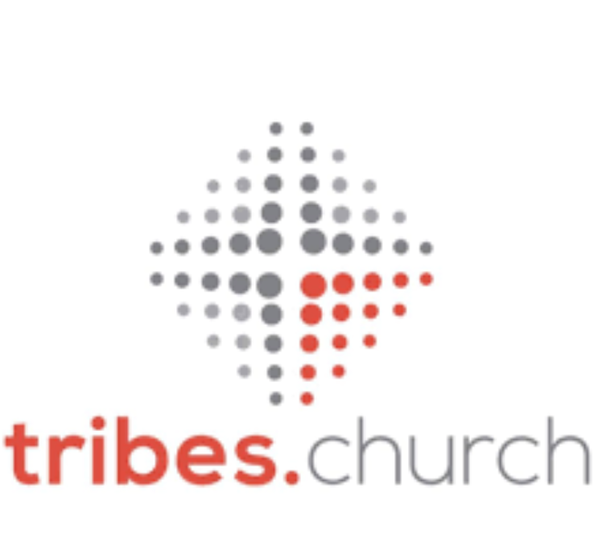 There are only a few $100 tables available. 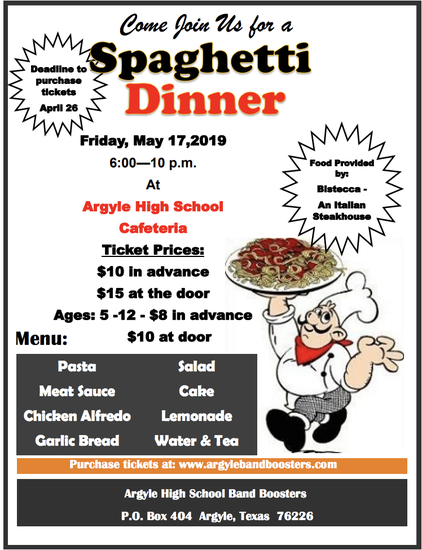 If you want to reserve one please e-mail parrington@argyleisd.com. If you did not reserve a table, plan to bring your lawn chairs and join us in listening to some great music. 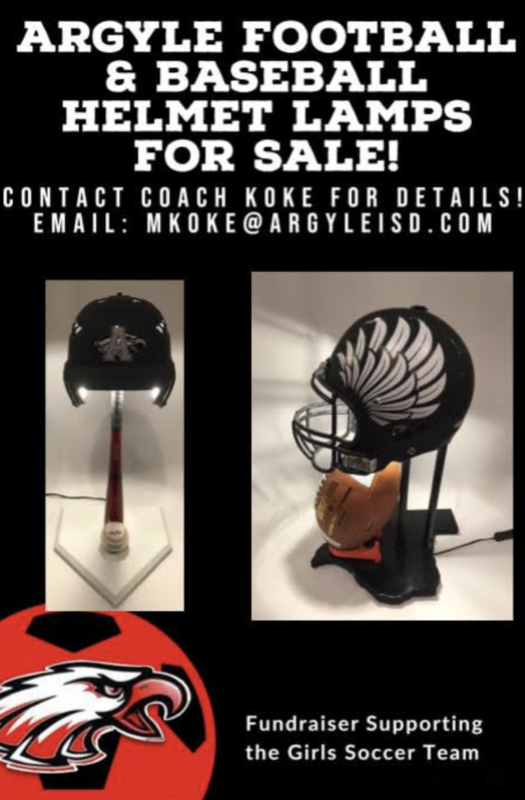 Help raise money for the AHS Soccer Team. 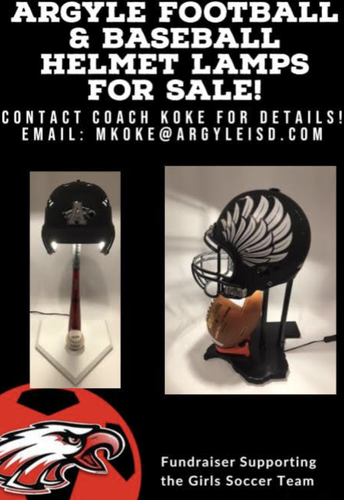 See the attachment for more information about how you can order a football and/or baseball helmet lamp.